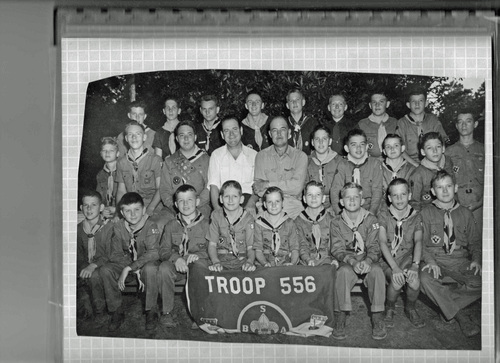 Dave Williams sends this photo of Boy Scout Troop 556. The adult on the right is identified as Mr. Eckhart (Bobby's father? ), and the man on the left is Dave's father, Noble Williams (who was a Chemistry teacher at Milby).